A list of firms to contact for Christmas gifts in 1929. 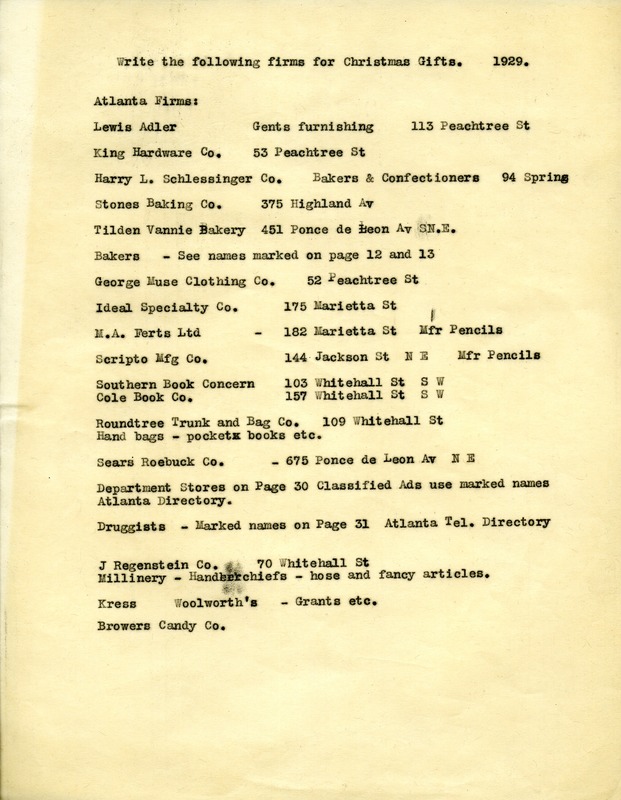 “List of Firms to Ask for Christmas Gifts.” Martha Berry Digital Archive. Eds. Schlitz, Stephanie A., Christy Snider, Angela McCavera, et al. Mount Berry: Berry College, 2013. accessed April 25, 2019, https://mbda.berry.edu/items/show/13343.